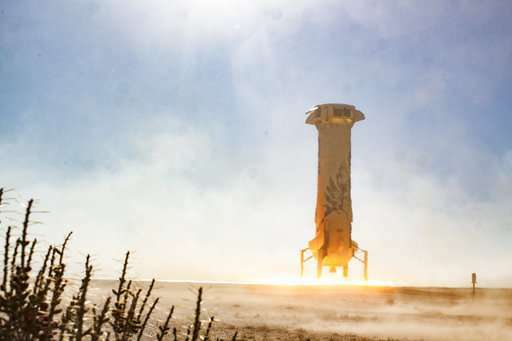 Blue Origin's 'Mannequin Skywalker' has rocketed almost all the way to space, just in time for the new Star Wars movie. The aerospace company led by Amazon's Jeff Bezos launched its New Shepard rocket Tuesday from West Texas for the seventh time. 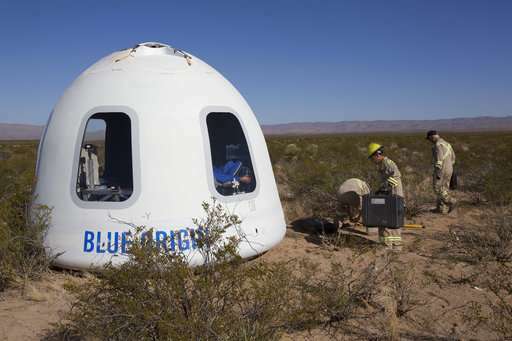 It marked the first flight, though, of the latest version of Blue Origin's crew capsule, featuring big windows for future space tourists. An instrumented test dummy was aboard, named Mannequin Skywalker and dressed in a blue—naturally—flight suit. "He had a great ride," Bezos said via Twitter. 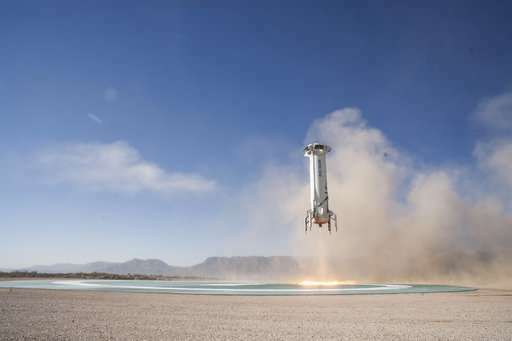 The New Shepard rocket, named after the first American in space, Alan Shepard, landed back on the ground following the 10-minute suborbital flight. The capsule reached a peak altitude of 99.39 kilometers above sea level or 61.7 miles, just shy of the 100-kilometer or 62.1-mile mark that's considered the start of true space. Besides Mannequin Skywalker, the capsule carried a dozen experiments, including an Arduino Nano electronic computer board, designed and programmed by Colorado schoolchildren, and student artwork. "Star Wars: The Last Jedi" opens in theaters Friday.